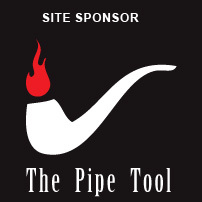 We appreciate your interest in joining the Austin Pipe Club. While it’s always free to attend our events (unless noted) and we encourage “visitors,” we always welcome new members. The strength of any club or organization is derived from its members and we take pride in bringing out the very best that Austin has to offer. Complimentary tin(s) of tobacco at monthly meetups from various sponsors. Certified Tobacconist (Tobacconist University) to guide you on your pipe smoking journey. An actual membership card (yes, you’ll have one to get your discounts). Membership cost is $10 and is a per year cost that goes to the club to help pay for the website and club activities. We’ve lowered our club dues as of 2018 to make the club more open and available. If you have any questions about becoming a member simply contact us!